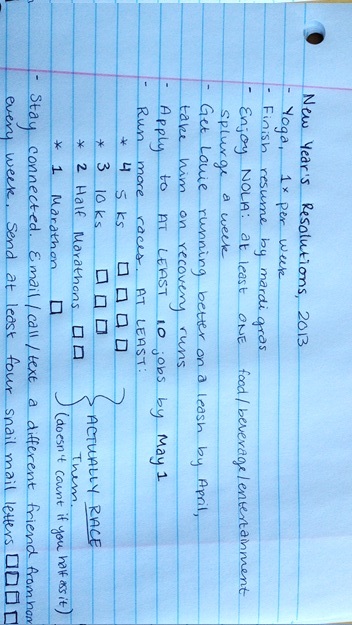 I told you I’d add to my list of resolutions, so here it is! This baby is folded in half and will be posted somewhere prominent in my house, possibly smack dab in the center of the mirror on my dresser. Image | This entry was posted in Living Well and tagged goals, new years resolutions. Bookmark the permalink.